This is from the UVM Spatial Analyis Lab Blog, click below for the full post and other related posts! This is a follow-up to our previous post on using high-spatial, high-temporal resolution imagery from our senseFly eBee to map changing ice conditions on Vermont Rivers. The Winooski River in Montpelier has a history of ice jams and flooding. As part of our Department of Transportation grant we have been gathering color-infrared imagery of the Winooski River to evaluate the use of such imagery to map changes in ice conditions. Farewell to David Brotzman, Hello to National Life! Big changes this week for VCGI: David Brotzman rides off into the sunset, and the VCGI office moves from Waterbury to the Penthouse of the National Life Building to join Agency of Commerce and Community Development staff. VCGI staff and the VT GIS Community were sad to say farewell to VCGI’s Executive Director of 15 years, David Brotzman. David ushered VCGI through many changes, kept the organization focused and solvent, and helped manage the transition from public non-profit status back into state government as a division of the Agency of Commerce and Community Development. Left to Right In the picture above: Ivan Brown, David Brotzman, Mike Brouillette, Steve Sharp, and Leslie Pelch. VCGI has officially moved out of our office of almost 13 years in Waterbury into our new digs in the National Life Building in Montpelier (ACCD is on the 6th floor). The picture above is the empty old office. 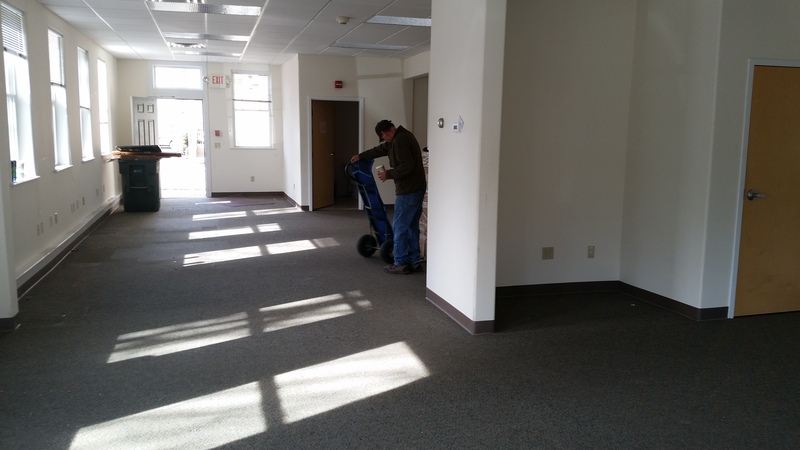 And here is VCGI’s new space in the Penthouse of the National Life Building in Montpelier. 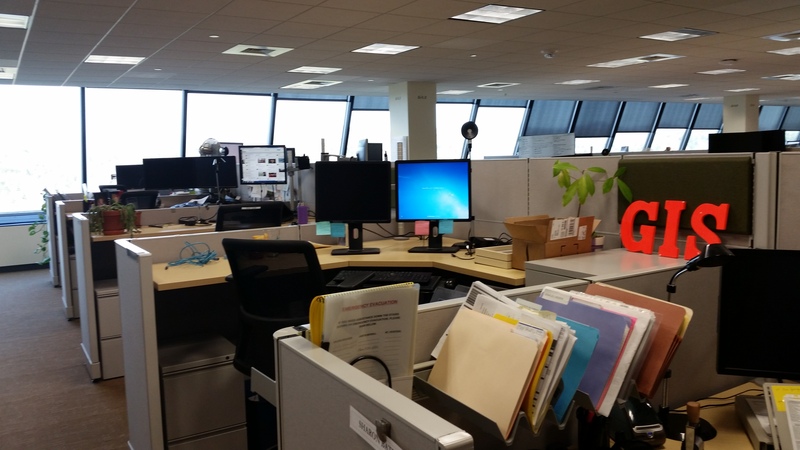 Ivan’s cubicle has the cheerful orange GIS and Leslie’s is just beyond. Mike and Steve are on the other side of the divider. We join the ACCD IT group, who have been incredibly patient, welcoming, and helpful to us during this transition! You are currently browsing the VCGI's Blog blog archives for April, 2015.